T-ara ティアラ – Release “Lies” In Japanese!!! | Japaneze Jusu!!! ようこそ!!! T-ara ティアラ – Release “Lies” In Japanese!!! 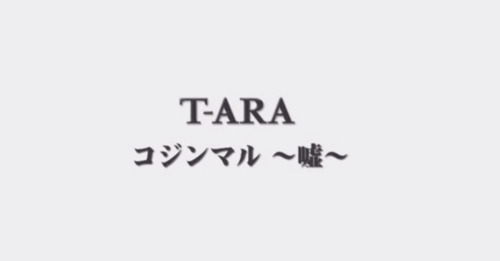 Korean group “T-ara” have released “Lies” in Japanese!!! This song was originally released in Korea in 2009, but now the Japanese language version has been released!!! I think this version is OK…the video is OK aswell……LOL Anyway, check it out!!! Wohh exactly what I was looking for, appreciate it for putting up!!! You have observed very interesting points! ps beautiful web site.